Over the past few months we’ve done several articles about consumer reviews and their importance. A question I often get asked has to do with claiming one’s business page in Google+ and Yelp. Many practice owners aren’t even aware that they have a page on Google+ and/or Yelp. It costs you nothing to manage and maintain these pages, and it offers many benefits. The place to start is to make sure that you have both a Google account which is used for Gmail, Google Calendar, Google Drive, etc. and a Yelp user account. Both accounts are free. 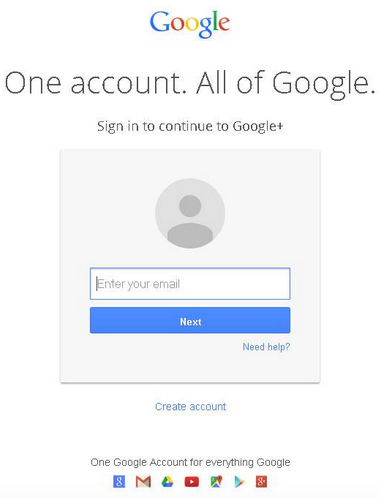 If you don’t have any kind of Google account, go to http://plus.google.com, then click the “Create account” link for a free account. This is done the same way with Yelp, go to http://www.yelp.com, then register for a free user account. Once you have an account, go back to http://plus.google.com or http://www.yelp.com and LOG IN. Once you are logged in to Google+, use the search area at the top of the page to search for your business. This will take you through a series of validation questions to make sure that you are indeed the owner of the business. Once you are validated, you will be able to navigate back to the page and upload pictures, add the company profile/bio and add relevant information to the page. As consumer reviews happen, you will also be able to reply to them, add notifications and videos, and keep the page up to date. Once you are logged in to Yelp, use the search area at the top of the page to search for your business. This will take you through a series of validation questions to make sure that you are indeed the owner of the business. Once you are validated, you will be able to navigate back to the page and upload pictures, add the company profile/bio and add relevant information to the page. As consumer reviews happen, you will also be able to reply to them, etc. Doing this will put you in control of your business pages on these sites and make them into usable information hubs for your business. I am interested in this topic. I would like to receive no-cost, no-obligation personalized guidance on these marketing techniques (highly recommended). It is something that you can train all of your staff to do. You can create a reward systems to enhance the staff to do more of it. The whole trick to getting referrals is nothing more complicated than asking for them. This can and should be done as a coordinated team effort by all the staff. There are many successful actions that you can implement in order to accomplish this. First, determine which patient/client will be approached. A staff muster at the start of the day can identify patients/clients who’ve had great results and are very happy with their service. Those are the people you want to approach. Determine who will talk with these people. It may likely be the receptionist who will be talking with a person after their appointment. Work out a simple script (we have several) that can be used and have a card ready to give out to the person that they can then give to their referral. Request Part II: The Official Dirt Cheap Marketing Checklist (highly recommended).